You must make reservations at least 5 minutes in advance of the time at La Fontana Siciliana. La Fontana is an urban oasis amidst the hustle and bustle of Belltown. As you step into the courtyard you are drawn in by the bubbling fountain and the aroma of Sicilian cuisine in the air. La Fontana has been a fixture in Belltown for over two decades and in November 2019 will celebrate 25 years of providing Seattle with the very best of everything. Proprietor Mario Fuenzalida’s food philosophy of utilizing the freshest ingredients prepared to order ensures that every meal is a pleasurable and memorable experience. The wine list has been specially crafted as a showcase to the food; it features quality Sicilian and Italian wines that highlight the unique flavors of La Fontana’s menu. We look forward to welcoming you. 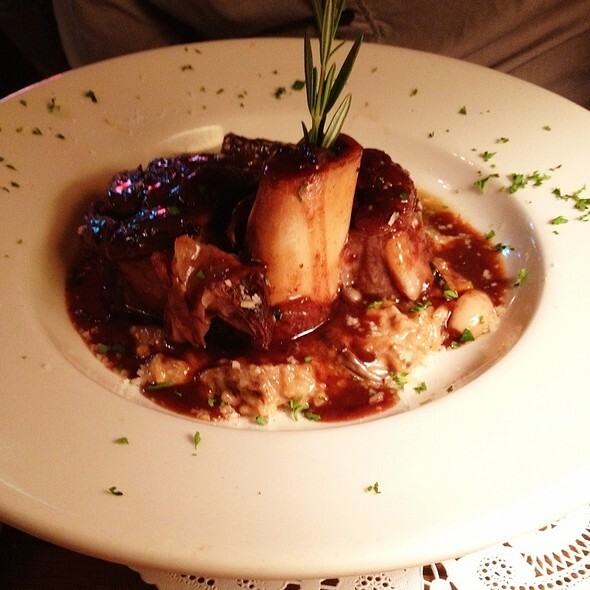 We’ve been to La Fontana on numerous occasions and the food and service have always been first class. One of our favorite Seattle restaurants. We were a group of 6 for dinner. We were seated in a cosy room that felt like a private room. The service was excellent and the food was very good. Cream of mushroom soup and the black linguine were the highlights of our dinner. Everything was great from start to finish. Celebrated a birthday. Ordered the smoked salmon dish and pistachio tortellini. Topped it off with a yummy cannelloni. Our server was from Rome, making our experience more authentic with his Italian accent. Beautiful location. Outdoors is even prettier. Indoors is more intimate and a smaller space. Great place to dine just because to eat good pasta or to celebrate an occasion. I took a couple of friend s to discuss business and had a wonderful time. The server was very attentive without interrupting. He had excellent recommendations without making us feel that we didn't know about the cuisine specialties. It was intimate without feeling like we were sitting on the next table's laps. We were able to have good discussion without a lot of noise or raising our voices. Overall a most enjoyable experience! The restaurant was very accommodating when I needed to change my reservation because my guest could not make the original time. My chicken marsala was good, not great. The price of the dish seemed steep for a chicken dish and sparse sides. Our server was very attentive at first, but then disappeared at the end of the meal when we wanted dessert and the check. Dinner was excellent, and they treated us no differently with a child than the other diners. 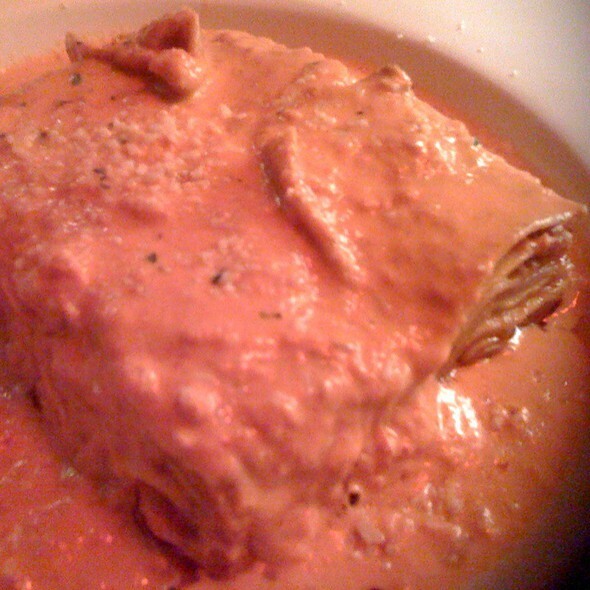 The veal parmigiana was excellent, as was the tiramisu. Wine selection is not as varied as I’d like for a higher-end Italian restaurant, but the wine prices were a more reasonable 2x. I highly recommend La Fontana Siciliana. Six of us had a business dinner. Delightful restaurant with great Italian wine selection. 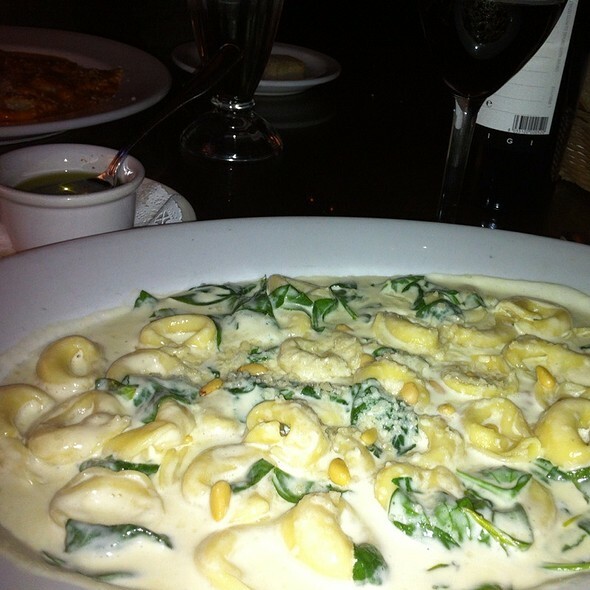 Shared appetizers, pasta and ordered individual entrees. Marvelous service and exquisite food preparation. Will definitely return. 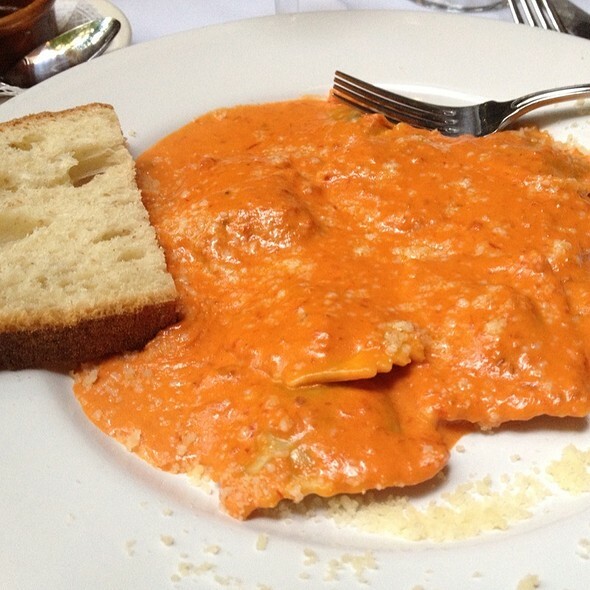 Amazing pink sauce and ravioli! Always great service, food and an excellent wine list. Authentic Italian dishes in a cozy environment with our special requests taken care of. Highly recommended. Food was delicious but for the price I would expect more. Ordered squid salad to start then chicken malsala and pasta dish. Chicken was tasty but portion is small. Service was nice but never refilled water, came to ask how we are when we are about to finish our meal. Disappointed. Overall a lovely experience. Foo, service, ambiance all top flight. Wine list is obscure and, based on my palate, seriously overpriced. Next time we will bring our own and pay corkage. Great service. LOVED the private table. 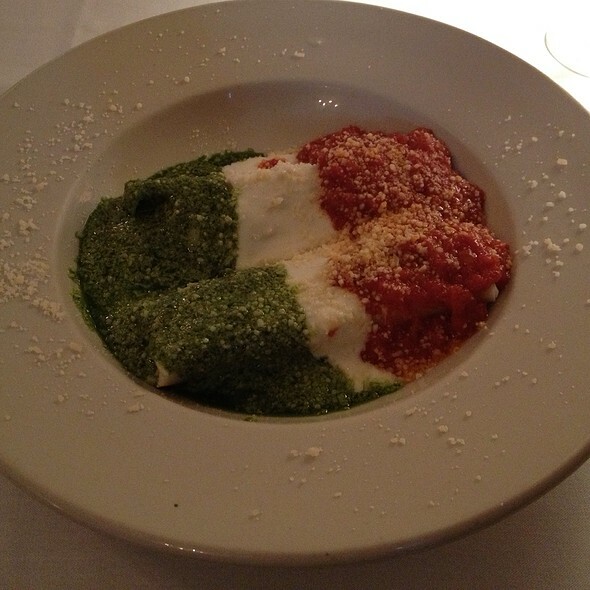 Food was all delicious and exactly what we crave when we want Italian. Truffle Fettuccine pasta was one of our favorite pastas we’ve ever had. Excellent service. My boyfriend and I went because we had heard amazing things about this restaurant. The staff was extremely polite and professional. The food is very unique and delicious. We will definitely be going again. I expected the food to be more expensive considering the quality and uniqueness. They were playing some really soft italian opera at just the right level and the whole place seems really clean. Very quaint. Authentic Italian dishes and that thoughtfully created. Beautiful everyday menu and interesting daily specials and that fun to try. 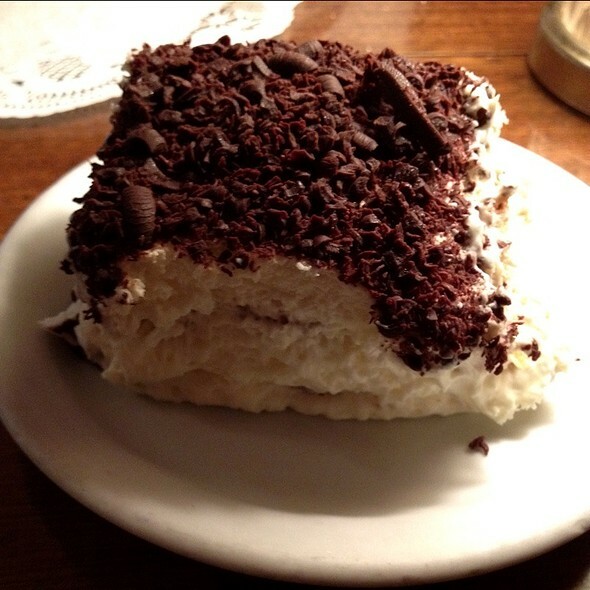 We have been to La Fontana many times over the last 5 years and have enjoyed every visit to the restaurant. This place was fantastic. Best calimari I've ever had, by far. Surprise live piano music played very nicely at the perfect volume. We were right next to the piano and could still hear each other. Only issue was that I felt the lemon cream sauce on my salmon entree was a little too heavy for the dish, but the flavor was still excellent and the fault appears to be mine for not ordering to my personal tastes. 5 stars. My wife and I had dinner there for the first time. 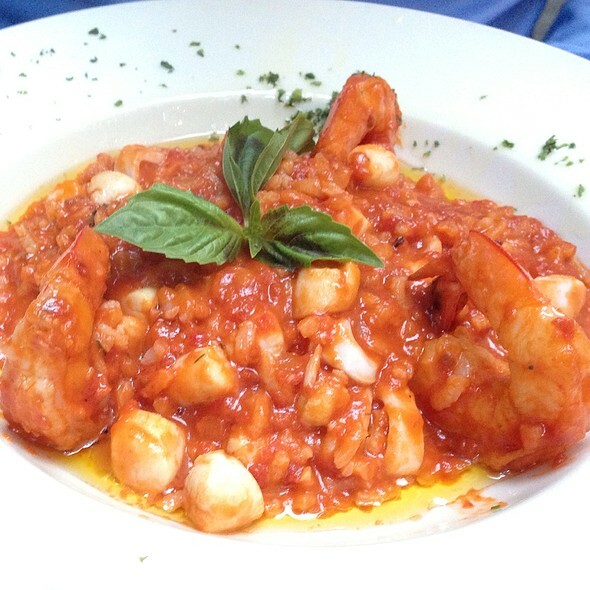 Having lives in Italy I have to say the food was very good and service very friendly and efficient. Our waiter was actually from Italy so I felt very comfortable ordering what we wanted to the last detail. I highly recommend this restaurant. Unfortunately their food has really suffered in the last 12 months. I had a great experience last year but found the food uninspired and expensive this year. Great for a last minute meal. I brought my mom here while she was visiting from New York and we all loved it. Definitely will be coming back. If you want good Siciliana without excessive noise, consider the charming La Fontana. Italian opera is playing in the background in the back room — or live peaceful piano in another room. Really wonderful, attentive service. Food was delicious and perfectly portioned. Highly recommend the Linguini Nere Al Salmone. We were here for a birthday (5 adults), but the atmosphere would be great for a romantic date. I really enjoy La Fontana. Went there for New Year's Eve with my wife and son. Great meal, excellent service and wonderful neighborhood ambience. My favorite place in Seattle. We went for a family Christmas Eve dinner. It was perfect. Warm, cozy, friendly, smelled wonderful. A lady was playing Christmas carols on the piano. White table clothes, little lamps on each table. Fun knowledgeable waiters. A small space which felt like home. The food and service was very good. We will go again! Great atmosphere with authentic Italian food. 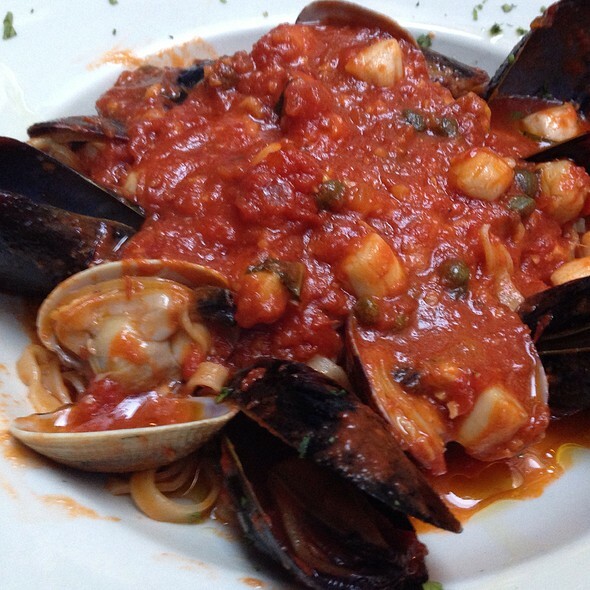 Old fashioned small, family run italian restaurant with the traditional menu. Food was excellent, especially the chicken marsala risotto. I have had risotto and chicken marsala but never a combination. After searching Seattle for a great Italian Restaurant to take my girlfriend on a Christmas Date, I landed on La Fontana. This is a cozy, romantic place and they seated us in the back next to a fireplace. They have light music playing, great service, and the food was delicious. Great date night and location, was able to walk around to various bars for cocktails before and after dinner. Highly recommended! Verry romantic restaurant! food and service were excellent! The lemon pistachio tortellini and cheese ravioli with tomato mascarpone sauce were the most fantastic Italian dishes we have had in Seattle. Our bruschetta and tiramisu were meh. First time here..we loved it! Great service and food. Very cute restraunt. I have been wanting to try La Fontana Siciliana for many years but for some reason life kept getting in the way. Well I can tell you it was absolutely worth the wait! The food, atmosphere and service were all fantastico! I'm bringing family back to enjoy a meal next week. I have lived in Seattle for over 30 years and never made it to this restaurant. Finally, there was the first time, on a chilly, dark Wednesday night in November. 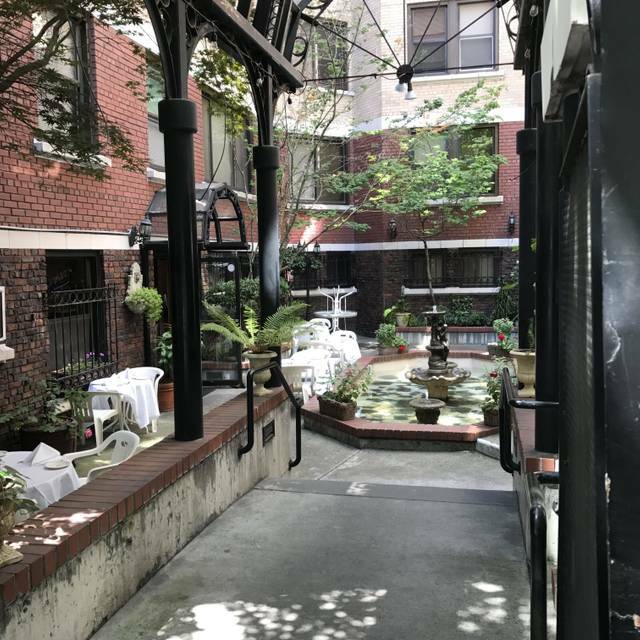 You take a few steps through the courtyard, quickly gain distance from the gritty, down-trodden neighborhood, and find yourself in a comfortable, not too large space that smells fabulous. A friendly greeting, a comfortable table, a menu with lots of choices, including many meatless options. Shared the calamari, which are unlike the usually overcooked, chewy lot everybody else gives you. These are marinated and extremely flavorful, a sort of Italian poke. A pasta dish with prawns was excellently flavored, spicy but still interesting. The pasta was good enough to be eaten on its own with just a little olive oil. A chicken taleggio dish was rich and had enough flavor to last a person for a few months, but instead of overwhelming you with creaminess, it had dimension and interest because it was carefully made with good judgment. Espresso was good. Service was friendly and responsive, and left you alone when you didn't need anything. No fussiness here, no aggressive small talk either. Great! Portions were generous, but not overly large, so no waste, much appreciated. I saw reviews bemoaning supposedly unpleasant service and small portions and can only assume those patrons might be better off in a mall restaurant. This place is excellent. Be sure to ask about the "Robin Hood of Sicily" whose photograph is on the wall behind the counter.